Just 7 questions we have about Kim and Kanye's Boeing 747 private jet. Just 7 questions we have about Kim and Kanye's ridiculously extravagant private jet. 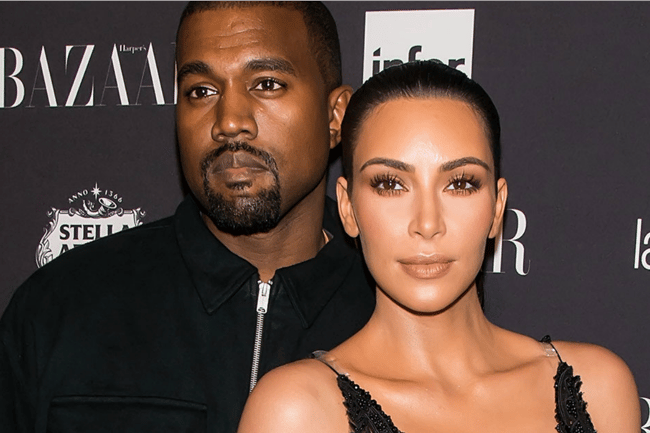 Kim Kardashian and Kanye West are known for being a bit… extravagant (except with their home’s furniture) and it will come as no surprise that they don’t fly commercial. But their latest private jet is A LOT. Kimye flew on a private double decker Boeing 747 jet on a “long flight” yesterday – destination unknown. And of course, this is 2018 so did you even fly on a private 747 if you didn’t show it off on Instagram? No, you didn’t. Kim, 38, took to the gram to share photos and videos of the plane and hooooly heck. The plane has private bedrooms, ensuite bathrooms, a dining room, living room, glass staircase and a gym. Obviously, as those who will probably never graduate from Jetstar economy, we have some questions. Do Kim and Kanye own it? Is it hired? Where did it come from? So, not much is known about the owner of the aircraft because according to leasing companies, Boeing 747s aren’t usually available for hire. Travel and Leisure pointed out that Air Force One, you know, the very big and important plane of the President of the United States, is also a 747. How much does a private Boeing 747 cost? Okay, be warned – this is going to hurt. Adam Twidel, CEO of PrivateFly, a global booking service for private charter flights, told Refinery29 that this type of aircraft is not only extremely rare and not available for charter, but oh my god it is exxy. “The particular plane Kanye and Kim were on is privately owned. As such, we can only estimate as to the cost required to operate it, but it’s in the neighbourhood of $200,000 per hour. To put it in perspective, Air Force One is a 747-200, a slightly bigger version of the same model, and costs about $250,000 an hour to operate,” he explained. Okay. So they had the plane long enough to have a 10 hour sleep and still fit in a workout. If we guess they took a 12 hour flight, that’s $2.4million. If they get the same jet back home, that’s almost $5million. Excuse me while I open up my banking app and WEEP. How many people can fit on a Boeing 747? A Boeing 747 can carry 660 people so they had a lot more than just an aisle to themselves. How much fuel does it use and what is its environmental footprint? It shouldn’t surprise you that Twitter is 110% outraged about the environment impact of such a large plane for like… three people. Kim & Kanye‘s house almost burns down in the California wildfires which are the most destructive in the history of the state & correlate with global warming. Kim and Kanye are taking a private 747. Yes, by themselves. So disgustingly unnecessary. I’m disgusted about the amount of fuel they are putting into the atmosphere. For no reason!?? I’m missing the connection. @KimKardashian and @kanyewest donate 500000$ to wildfire relief efforts, but take a 747 airplane privately. Will someone explain to them how the climate crisis work? Please? @KimKardashian @kanyewest renting an entire 747 for themselves is so unbelievably wasteful it makes me sick. Leaving a much larger carbon footprint than they need to. You have the power and wealth to travel sustainably, and instead you do the opposite.For what? An instagram flex? According to Flight Deck Friend, the Boeing 747 burns about 10-11 tonnes of fuel an hour when cruising – or about four litres of fuel every second. This comes just days after Kim and Kanye donated $500,000 to California’s wildlife relief fund and firefighters following the deadly fires which burned through the state earlier this month. Is exercising on a plane even… a thing? In cattle class, even getting up every so often to walk through the aisle and stretch your legs is a hassle so the idea of doing a full on workout (with your PT!?) on a plane is… foreign. Apparently, gyms on private planes are 100% a thing though and one Forbes writer even did a spin class on one. Nope. Not even being 30,000 feet in the air could make that enjoyable. Is private jet food better than normal airline food? Dunno. Probably never will know. But Kim’s videos show an impressive amount of snacks! Was such a large, extravagant plane necessary? Definitely not. But they’re Kim and Kanye. ‘Unnecessary’ is their thing. Pssh… No. We love the stiff necks and cramped legs we get from back here in economy. What do you think of the backlash Kim and Kanye are receiving for flying on this Boeing 747 private jet? Let us know in a comment.